*This article was originally published by Baseball Essential. The never-ending debate was upon us once again with Clayton Kershaw looking to double down on the NL awards season, with both the Cy Young award and MVP. Kershaw dominated the competition, unanimously winning the Cy Young after going 21–3 with a 1.77 ERA, and 239 strikeouts in 198.1 innings pitched. The bearded lefty led the league in wins (21), ERA (1.77), complete games (6), ERA+ (197), FIP (1.81), WHIP (0.857), SO9 (10.8), and SO/W (7.71). Despite his dominance the two numbers that jump out for people when looking at Kerhsaw as an MVP candidate are his 27 games played, and not reaching the so-called magic number of 200 innings pitched. With those small amounts of games that Kershaw was a part of, could he affect the games as much as his counterparts Andrew McCutchen and Giancarlo Stanton? The first number that jumps out is the games played for an everyday player. McCutchen led the league in three categories: OBP (.410), OPS (.952), and OPS+ (168). Those stats can’t compare to how much work Kershaw put in for his team, though, besides simply looking at games played, so the two places to go are plate appearances and pitches seen. After playing in 146 games, 11 less than his 2013 MVP season, McCutchen stepped up to the plate 648 times and saw 2,640 pitches, the 18th most in baseball. For each plate appearance, McCutchen saw 4.07 pitches per at-bat. Again, we see how many more games Stanton played than Kershaw. Stanton led the league in just two categories as the league’s top slugger with home runs (37) and slugging percentage (.555). Like McCutchen and Kershaw, Stanton missed time due to injury as well, but still totaled 638 plate appearances, and saw 2,597 pitches, 20th in baseball, also seeing 4.07 pitches per at-bat. Yes, Kershaw played in 119 fewer games than McCutchen and 118 less than Stanton, but his impact may have been just as great. Over his 27 games where he toed the rubber, Kershaw threw a total of 2,608 pitches, just 32 less pitches than McCutchen saw all season long, and 11 more pitches than Stanton saw. In those games that Kershaw was a part of, he faced 749 batters, 101 more plate appearances than McCutchen and 111 more than Stanton. With every pitch that Kershaw threw, he did so in dominating fashion. 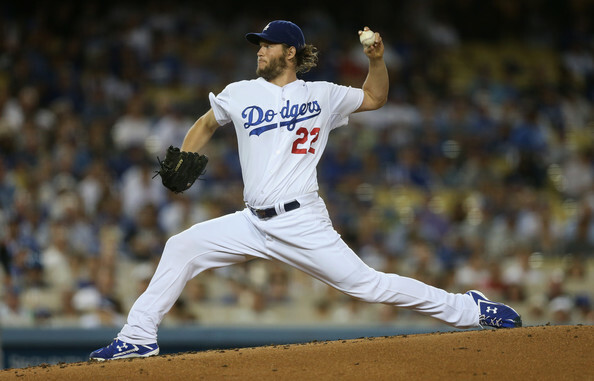 In his 27 starts, Kershaw averaged 7.34 innings, but only 96.59 pitches per game, and 3.48 pitches per batter. There have been 10 pitchers to win the NL MVP, and if Kershaw joined the group, he would be the first to do so since Bob Gibson did for the St. Louis Cardinals in 1968. Kershaw led the NL in WAR with 8.0, while Stanton finished fifth with 6.5, McCutchen’s 6.4 finished seventh. Through sheer volume and overall dominance, though former Los Angeles Dodgers manager Tommy Lasorda doesn’t think this current Dodger deserves the award, Kershaw was every bit as deserving as McCutchen and Stanton to win the 2014 NL MVP.